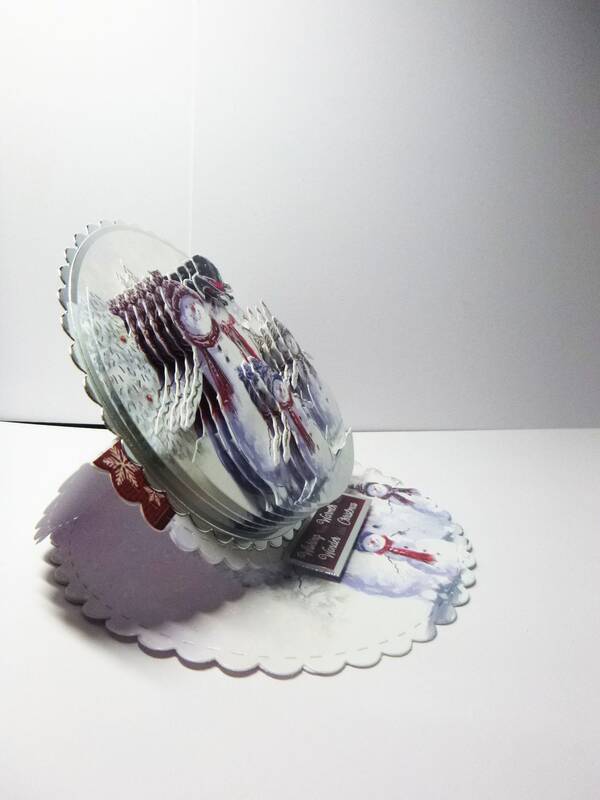 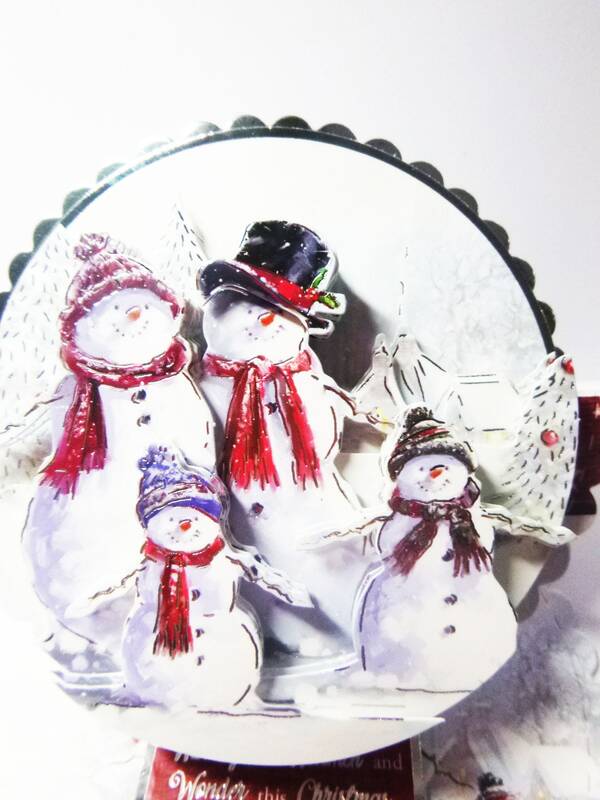 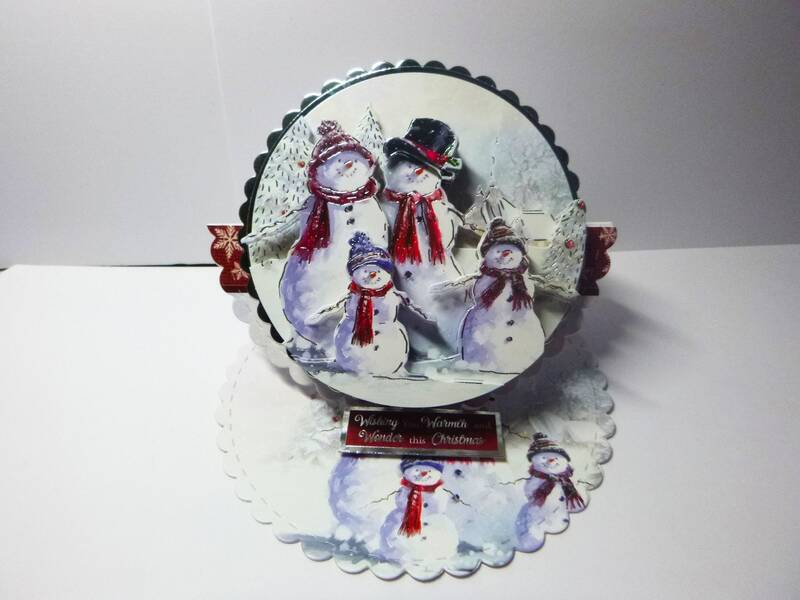 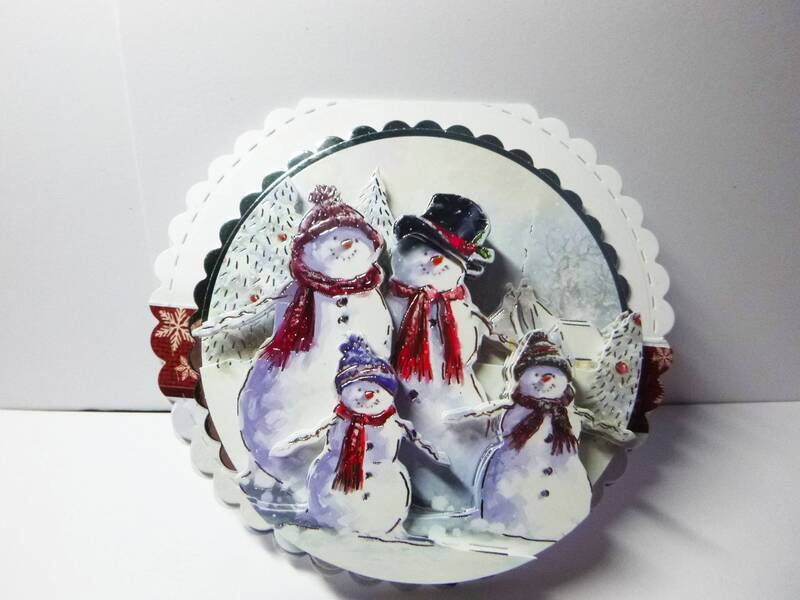 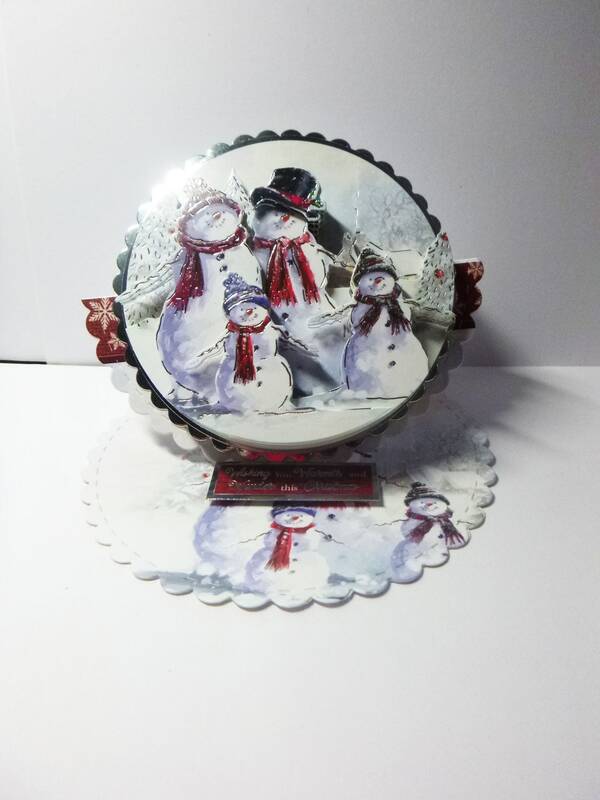 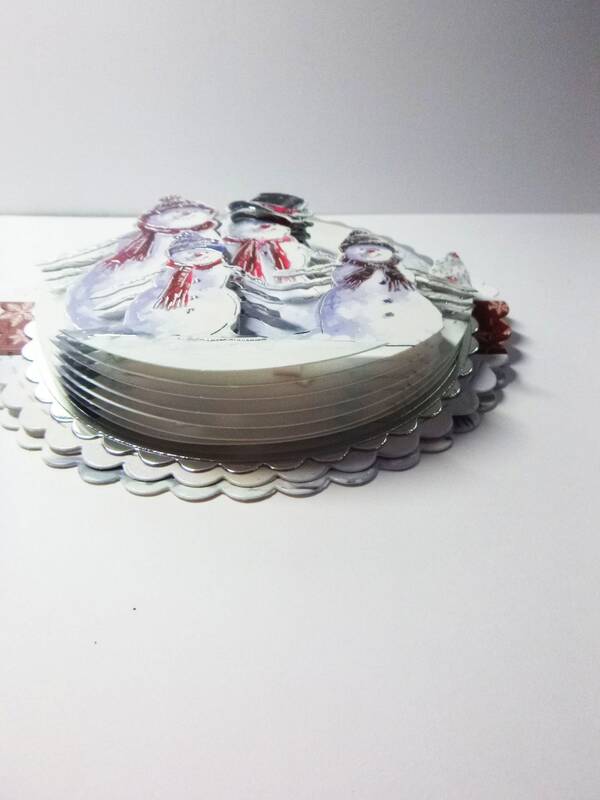 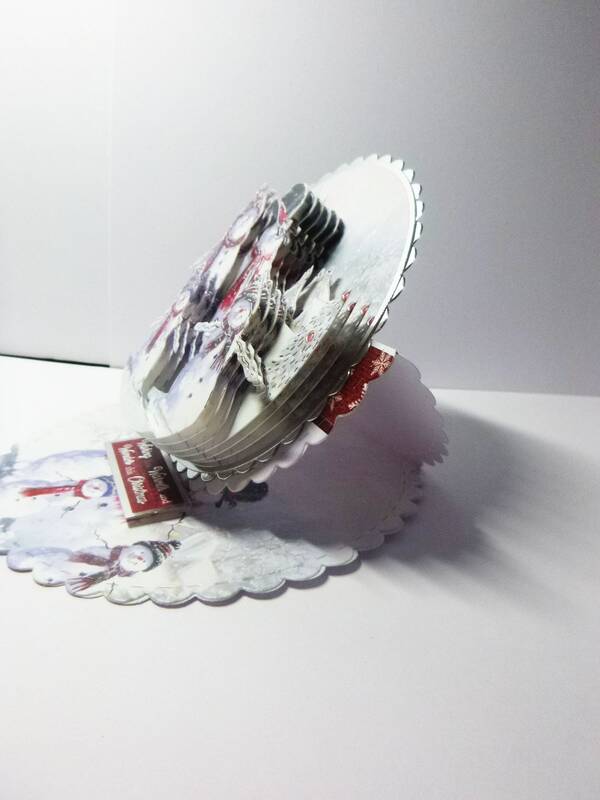 A 3 D Decoupage easel card, made from white and silver card, with a round topper and 3 D decoupage of a snowman with his family. 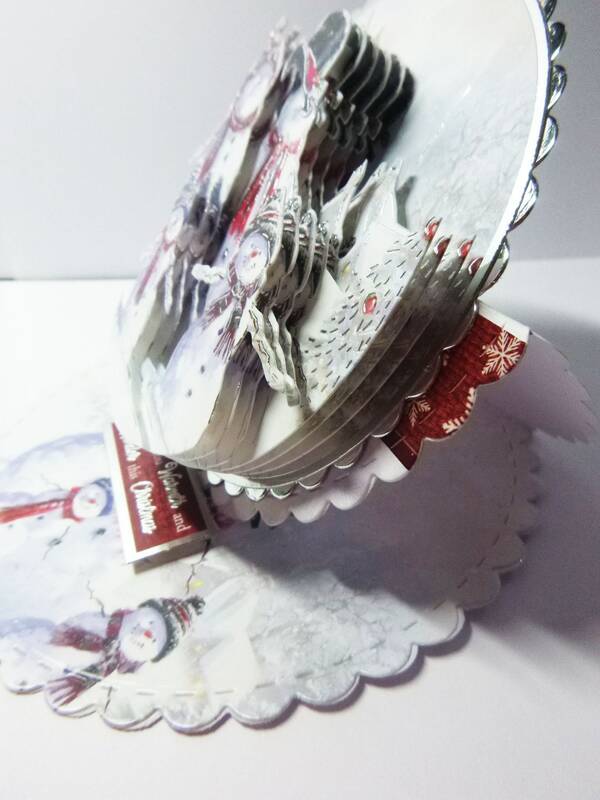 for the stopper on the base of the card is a sentiment which says, ' Wishing you Warmth and Wonder this Christmas'. 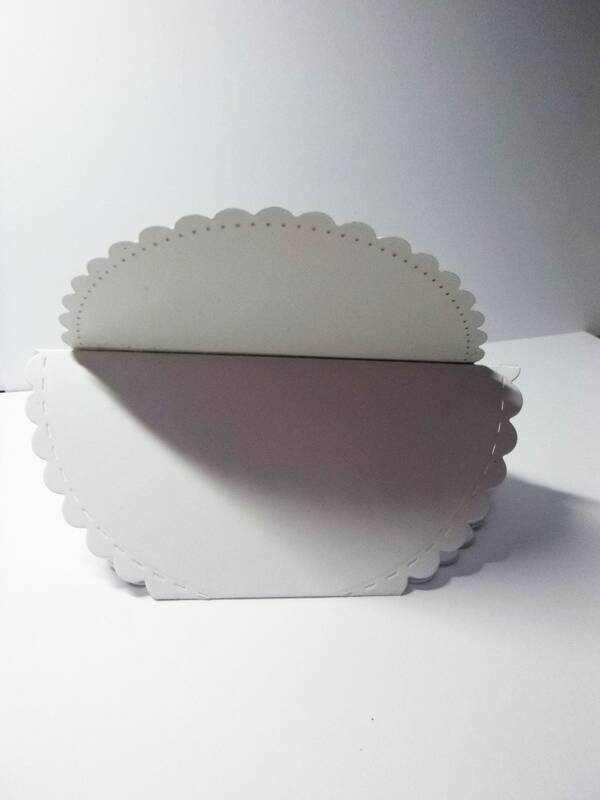 The card measures 6 inch x 6 inch, 15 cm x 15 cm, includes a white envelope.